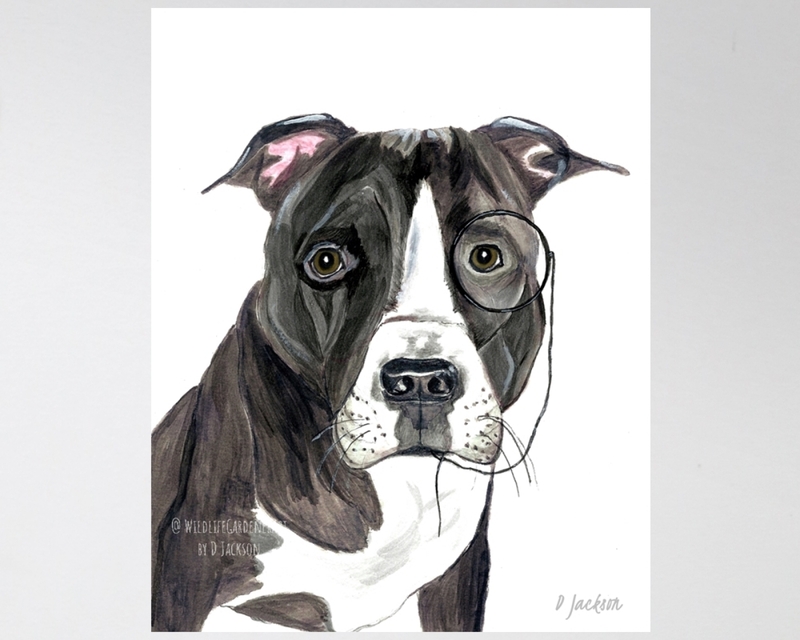 Whimsical Watercolor Pit Bull in Monacle Archival Art Print from my original painting. Inspired by Othello, this handsome guy sports a monacle befitting his name. 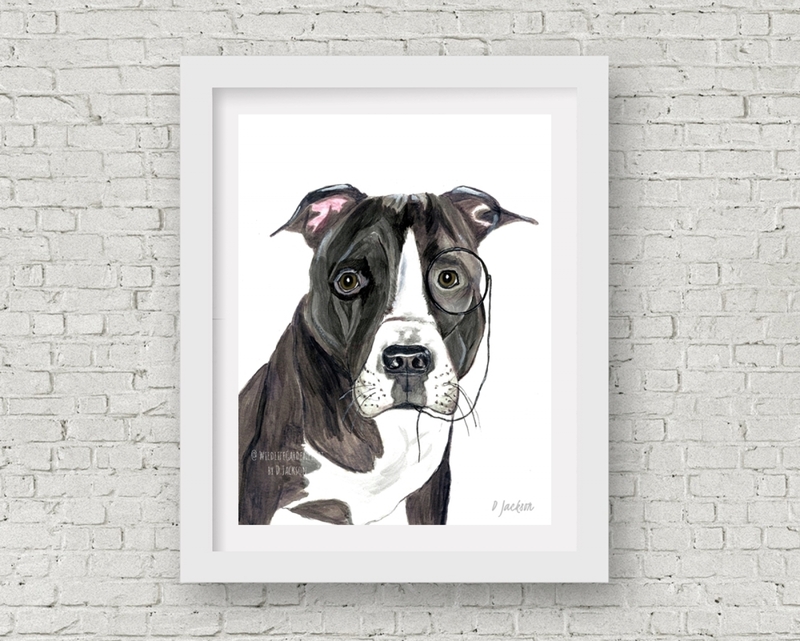 This sleek dog art would be a great addition to many decors and spaces and a great gift for the dog lover in your life. Available as photo, Giclee or stretched canvas prints. These high quality prints will last for decades in normal home displays. Made to order for you and shipped securely using USPS. If you have any questions please feel free to contact me. For custom watercolor art of your pet please feel free to contact me. Photo Prints are processed like a traditional photograph on Matte Kodak Endura Professional Paper. Printed without borders and usually ship within 1 - 2 business days. Gallery Quality Giclee Fine Art Prints are printed using Somerset Velvet paper, which has a lovely smooth texture and Epson Ultrachrome HDR inks. Giclee prints are printed with a 1 inch white border for easier matting and framing and usually ship within 3 business days. Stretched Fine Art Canvas Prints are made using Torino Canvas, Epson Ultrachrome HDR inks. Canvas is stretched on 5/8 inch deep wooden stretcher bars, and can be framed or hung without frame. Edges are white (Image does not stretch around frame) and ship within 3 - 6 days of your order. Mats, frames and props are not included - shown for illustration only. I am happy to ship internationally - please feel free to contact me for shipping charges. All rights on art and images are reserved for WildlifeGardenerArt by D. Jackson. Website images cannot be copied or used without written permission from the artist.